This eczema rug is especially made for Friesians and baroque horses. 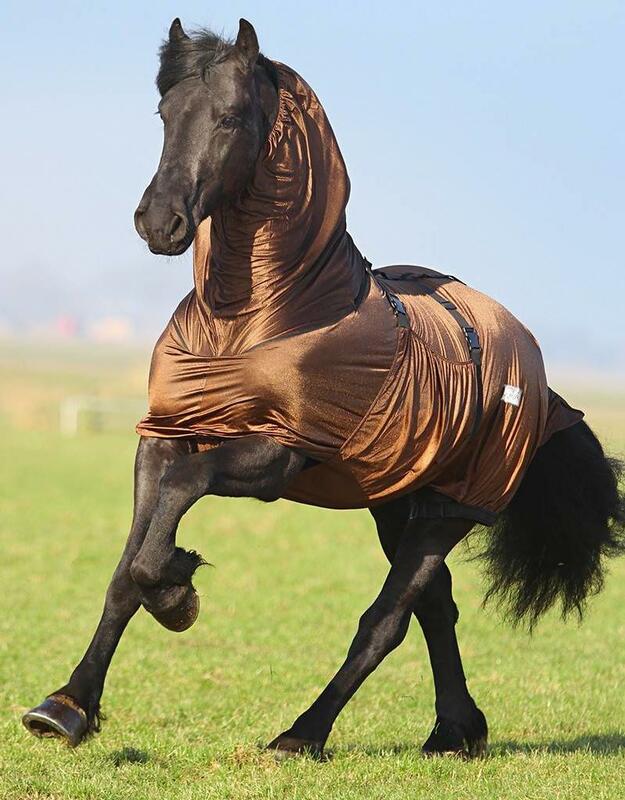 The rug protects the horse agains insect bites, particularly agains culicoides midges which can cause an allergic reaction and heavy itching for some horses. An eczema rug also protects the horse against sunlight and UV rays. The fabric of this rug is strong, elastic, breathable and dries quickly.